See full details, itinerary & costs below. LAST MINUTE (May) – 2 spots have opened up! We held a live video call discussing the trip in more detail. To request a link to the recorded video, please email us. 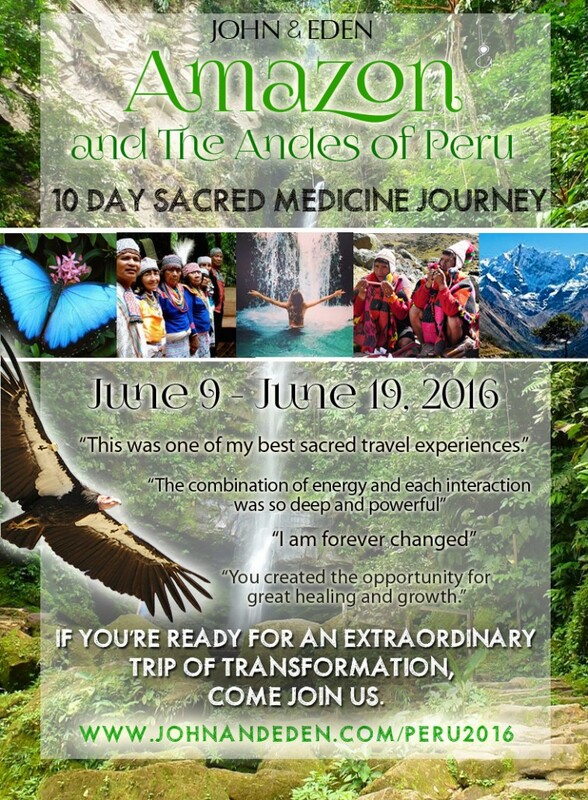 JOIN US FOR A LIFE-CHANGING TRIP TO THE AMAZON JUNGLE & THE ANDES MOUNTAINS OF PERU! Each year we are guided to bring a group of people to this magical land, a place that has deeply touched our hearts and stirred our souls. If you have never been, Peru is unique. The energies are intact and pure, the medicine ways ancient and powerful. It is a place that is fast becoming known around the world for it’s ability to heal, awaken, and evolve our very being. It is a cosmic anchor point and a potent portal for divine creation. Our trip is not for everyone. everything that needs letting go of, and everything that is ready to awaken within you. 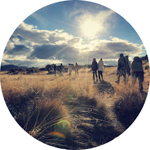 We support you every step of the way – from the moment we create the trip, we envision the 18 souls who are meant to join us and call you forward. Upon registration, we begin to hold space for your deep transformation. We work with you to create specific intentions and hold the energy of your intentions with you. We hold several group calls leading up to the journey to prepare you for what’s to come, to weave together the group dynamics, and be sure we arrive ready to hit the ground running. We create a private attendee-only Facebook group so we can communicate trip details, share thoughts, ask questions, and all get to know each other prior to the trip. We give you a homeopathic version of the plant medicine to take prior to our trip to prepare your body for the experience in the jungle. 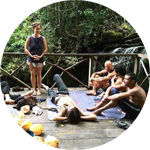 We offer additional private 1-on-1 sessions (at a discounted rate to trip attendees) to help you open the light body and help with the work you will be doing in the jungle. During our 10 days together, we dive deep into ceremony with our indigenous healers, guiding you, working 1-on-1 with you, and supporting you each and every day to realize your intentions for healing, awakening, transformation or whatever it is that personally called you to Peru. We offer a post-trip year-long program* including monthly group calls and sacred ceremonies to help you fully integrate your shifts from the trip, rejoin your new friends, and ultimately help you create the new life you manifested on the trip. 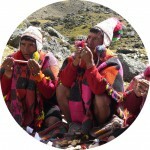 We do not simply lead a sightseeing tourist trip to Peru, nor are we there to speak ‘at you’ with spiritual talk. We put in a tremendous amount of time and effort to create an experience for your deep and personal transformation, and are dedicated to seeing you get everything you want – and more! Here’s a few testimonials from our recent trips…. Fly to the Amazon jungle by noon, transfer 30 minutes by van to our retreat center, and have the afternoon free to get settled with our new home. Before dinner, we will meet in circle to officially welcome the group and provide initial thoughts on the days to come, and meet those who will be working with us in ceremony. Breakfast, then meet in circle to discuss the coming ceremony and intention setting. Lunch, then time in the jungle connecting with its energy. 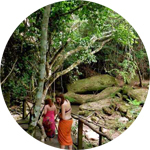 Visit with parrots, butterflies, and abundant jungle life, take a swim under the waterfall. Our first evening ceremony with the curanderos, our indigenous shamans, outdoors under the stars. Breakfast, then meet in circle to integrate ceremony experiences from the night before, receive 1-on-1 help and guidance as needed. Lunch, then flowers bath next to the waterfall by the Shipibo maestras (women healers), free time, then evening ceremony again. Breakfast, meet in circle to integrate ceremony and receive 1-on-1 help. Lunch, followed again by flowers bath next to the waterfall, optional art therapy painting and creative projects, free time, then our last evening of ceremony! Breakfast, then meet in circle to integrate ceremony experiences from the night before, receive 1-on-1 help and guidance as needed. We then board our buses and do a beautiful day excursion to a luscious waterfall and lake up in the mountains! Lunch outdoors and time to relax. Dinner, then free evening. Travel day! 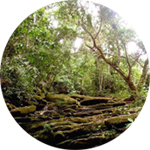 We say goodbye to the jungle and our shamans, and embark on the second part of our adventure. We fly to Cusco, arriving early evening, and head out to the Sacred Valley to check-in to a luxe hotel for rest & relaxation! Rest day! We will have a free day to spend at our hotel. Enjoy the gardens, get a massage, do yoga, just rest – or take a short trip in to Pisac for a great shopping at one of the largest markets in town. Group dinner on site. 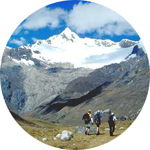 Off we go on an amazing journey of beauty, through the Sacred Valley and into the snow-peaked Andes mountains! We will arrive to a native village, take a short hike to our camp site location (all tents and equipment will be set up for us). Two Q’ero shamans will join us as we connect deeply with the energy of the mountains, eat dinner under the stars, and share wisdom around a camp fire. We wake up in the beautiful fresh air of the mountains, eat a warm breakfast, then prepare for our hike further up the mountain. Our Q’ero shamans and guides will lead us on a 2 hour hike up to a magical canyon, where we will be surrounded by condors and eagles flying overhead! There, we will honor the earth and have our Q’ero shamans lead a despacho ceremony, followed by giving each person a shamanic rite of initiation. Once complete, we will descend back to base camp, where we will say goodbye to our guides and board the bus back to Cusco, checking in to a new hotel. Up early as we head up in to the hills above Cusco and once again enter in a ceremony for our Soul’s journey. 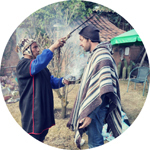 This is a day-long ceremony where we will experience the profound beauty and magic of pachamama (mother earth), and work together well into the evening, gathering around the fire and deepening our connection and understanding of our Soul’s journey from this trip. We will be staying the night at the mountain house. Breakfast, then we say goodbye to our hosts and head back in to the city of Cusco where people will leave to catch their flights home*, everyone returning home with our heart’s full and lives changed. (*some people may choose to extend their trip with additional excursions, such as to Machu Picchu. Contact us for details). 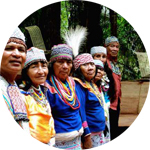 This trip involves use of plant medicines to heal the physical, emotional, and energetic bodies used for hundreds of years by indigenous shamans. It is your choice to use them, or not. Your safety and well-being are of utmost importance to us, however given the nature of the jungle we cannot guarantee it. You must be in good mental and emotional health before choosing to come on this journey. If you have serious health or psychological conditions that require medication, you must speak with your doctor or natural health practitioner if this trip is right for you. Mixing certain pharmaceutical medications with plant medicine can be dangerous. Feel free to email us if you have any questions we can answer for you first. Our trips are known as more upscale in nature as we try to provide the best lodging possible for the price (4 star or luxury hotels). HOTEL ROOMS ARE ALWAYS DOUBLE OCCUPANCY – that is, 2 people per room. We assign roommates (which changes at each location so you are always with someone new), based on who we think will be the best match for you. HOWEVER – the 2016 trip has some unique sleeping situations:1. JUNGLE: The retreat centre has SHARED ROOMS with 4 to 8 beds per room. There is 1 or 2 rooms for couples. It is nice, beautifully appointed housing by western standards (not easy to find in the middle of the jungle!) – protected from the elements and jungle critters, comfortable beds, nice decor, gorgeous sacred art painted on the walls. There are shared bathrooms. Women will always room with women, men with men (except couples where possible can be put together). Please see this as part of the group experience, and we always see beautiful new friendships form as a result. There are plenty of spaces indoors and out to have alone time should you need it. We will be up late past midnight every night due to ceremony, and generally up early.2. CAMPING: This trip will have 1 night of camping in the mountains. All tents, sleeping bags, and mats are provided and set-up for you. You will be sharing a tent with 1 other person. Weather will be a factor and it will likely be very cold at night (40 degrees) so you will need to come prepared. The remaining time on the trip you will be in truly beautiful upscale hotels, 2 people per room. 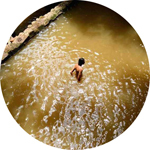 You must arrive in the jungle, a town called Tarapoto, by late morning on Thursday June 9. It is a 1 hr flight North from Lima (the main international airport). 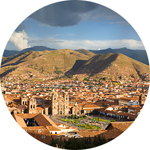 You can fly out of Cusco back home anytime after 2pm on Sunday, June 19. – All group calls and support leading up to the trip. 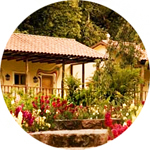 – Your flight TO the jungle from your home country, or your return flight home FROM Cusco. EARLY BIRD SPECIAL: Register by February 20th, 2016 and get $151 off! Pay only $3,444! Pay by check, or you can choose to pay via credit card using PayPal, however please note the PayPal transaction fee (2.9% if within the US, 3.5% for international) will apply. IMPORTANT: No refunds on any money paid if you cancel, for any reason, within 2 months of the trip. *Why is the deposit non-refundable? As soon as you register we begin to secure buses, tickets, and other logistics against that money. A tremendous amount of time and effort goes in to each person as soon as you register. If you drop out, we are out that money… even in the event we find a replacement for your spot. PLEASE HONOR THIS DEPOSIT EXCHANGE, EVEN IF YOU MUST DROP OUT FOR PERSONAL REASONS AT ANY POINT BEFORE THE TRIP. The deposit cannot be applied to future trips or personal sessions. or call John Germain Leto at 917-439-1242.